Why You Should Use PPC Ad Extensions? 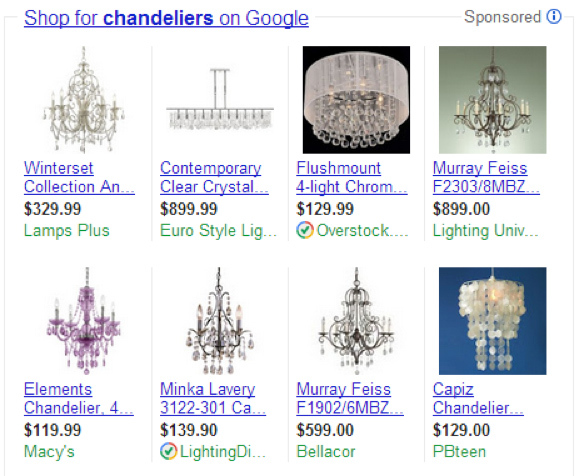 Recently Google AdWords has given marketers new ad extensions that we can use to assist in our paid search marketing. Ad extensions are a great tool in paid search because they add value to our ads without any extra cost. Each ad extension serves a different purpose for different marketing strategies and should be used if it aligns with your conversion goals. Here is a list of active ad extensions and some ad extensions that are in Beta. Places the closest Google place location directly below your ad. This is a great tool for brick and mortar businesses who want in store traffic to drive sales. It also adds credibility to your ad by showing that you are a legitimate business with a physical location. Places a phone number, (usually a Google tracking number) next to the headline of the ad. This is a great tool for lead generation clients who provide services and use CSR systems to capture leads. Call extensions is highly effective in mobile search by allowing customers to click to call the number instead of clicking on the ad to find a number. Offer extensions will use a clickable offer directly in your ad which when clicked will send you to a Google landing page where you can print the offer or save it online. This works great for local marketers who are looking to drive in-store traffic. It helps to convert searchers online into in-store customers and allows marketers a way to measure performance. In my opinion, Sitelinks is the best of all the ad extensions because it can be used for any marketing goal. The main use of sitelinks is for e-commerce sites who may want to send people to different or more specific product pages. For instance, if someone was doing a search for shoes, you can have Sitelinks for Women’s Shoes, Men’s Shoes and so on so your customer search can be filtered before they land on the page. Sitelinks can also be used as added value to you by giving you more room to place offers and added benefits that may not have fit in your ad copy. This ad extension should always be used, regardless of the client. Product extensions are used for e-commerce sites that use product listing ads (PLA). This ad extension clearly is not for everyone as you first have to set up a merchant center account. This ad extension places a product image, title and price next to the search ads, or directly on the top of the page. This is a great way to promote individual products in search. Social extensions link your Google+ Page to your AdWords campaigns, so that all your +1s – from your page, your website, ads and search – get tallied together. This adds further credibility to your ad which leads to higher click through rates which in turn will increase your quality score. As the name states, an app extension is for advertisers who are looking to either sell or promote an app for mobile devices. When clicking on the ad it will automatically download the app from Google Play or ITunes App Store. It’s a great way to promote your app and get downloads. People who click on the ad who already own the app can be sent to a specific section within your app based on their search query. Be sure to try and test as many ad extensions that fit your business to see how it can affect your campaigns. Testing the various ad extensions is a great way to conclude which extensions are right for your business and your ad campaigns, and which extensions are not. Next post : Why Use WordPress?